Last week, Egyptian novelist Ahmed Naji and Tarek el-Taher, a newspaper editor who printed an excerpt from Naji’s book Use of Life, were acquitted on charges of “harming public morality.” The charges had been brought on behalf of a reader who claimed the excerpt caused him to have heart palpitations, and if convicted both defendants could have been sentenced to two years in prison and fines over $1200. 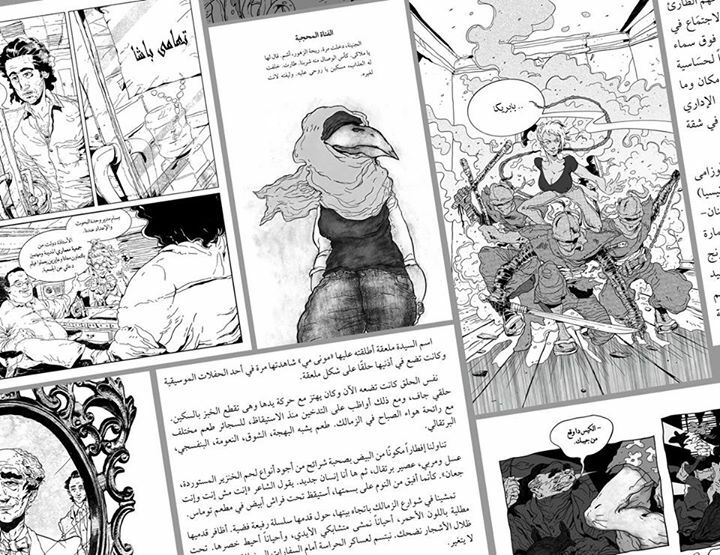 Use of Life is an experimental work that incorporates visual elements including comics drawn by Ayman al-Zorkany. The excerpt printed in 2014 in Akhbar al-Adab newspaper included references to sexual acts and drug use, and a 65-year-old reader claimed that it caused him heart palpitations, a drop in blood pressure, and severe illness. Naji’s lawyer Mahmoud Othman argued at trial, however, that one reader could not claim to represent all of society. While the acquittal of Naji and Taher is certainly good news, it stands as a rare bright spot in Egypt’s current intellectual climate. According to the Committee to Protect Journalists, the Sisi government has recently arrested journalists and bloggers, raided art galleries, and sentenced a TV host to one year in prison for “contempt of religion.” The crackdown comes in advance of the fifth anniversary of the Tahrir Square uprising on January 25.